Sony has discretely launched its quietest PlayStation 4 Pro yet with the CUH-7200 that is only available as part of the Red Dead Redemption 2 bundle (CUH-7216B). The CUH-7200 brings a revised power supply and better acoustics with almost no cooling system whine or fan noise during gaming. If you've been increasingly frustrated by the jet engine-esque noise emissions from the Sony PlayStation 4 Pro launch model (CUH-7000), you'll be glad to know of a new console revision that aims to tame the acoustics. When you buy the Sony PS4 Pro-Red Dead Redemption 2 bundle in the UK, you will be greeted with a new version of the console (CUH-7200) with better acoustics and a redesigned power connector. 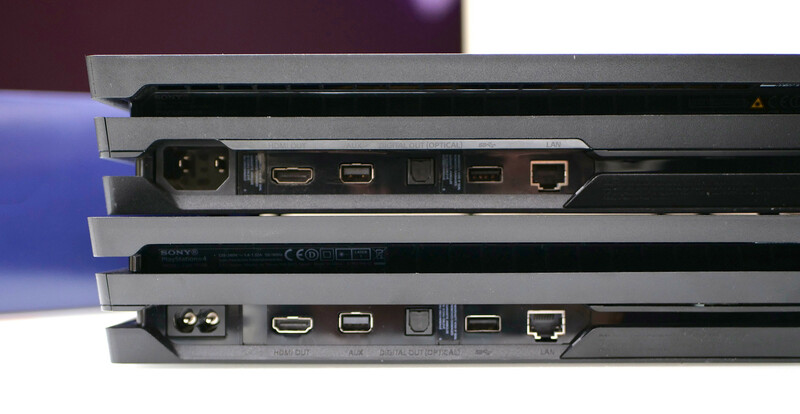 The 500 Million Limited Edition console (CUH-7100) had improved on the launch model by using differently cooled GDDR5 RAM and a tweaked fan profile but had similar power draws as the latter. Now, the CUH-7200 variant not only has better acoustics but also comes with a new power supply that now uses a figure-eight input as seen on the PS4 Slim, Xbox One S, and the Xbox One X. The internals are more or less the same, though. Eurogamer compared the new model (CUH-7200) with the launch (CUH-7000) and 500 Million Limited Edition (CUH-7100) variants by playing God of War and found significant improvements in the way Sony has handled noise emissions in this revision. Power consumption of all three variants were close to the 170W mark although, the CUH-7000 revision did spike to 177W 15 minutes into the game. The other two revisions were within reach of each other. Interestingly, the CUH-7000 was the coolest of the three at just 48 °C at the top and 60 °C at the rear. The CUH-7200 had the least noise emissions of the three, recording just 44 dB and 48 dB at the top and rear respectively — 6 dB lesser than the CUH-7000 and up to 3 dB lesser than the CUH-7100. The Xbox One X is still arguably quieter but Sony does seem to work towards bringing down the noise. The Sony PS4 Pro CUH-7200 revision is only available with the aforementioned bundle (as CUH-7216B) in the UK for £350 as of this writing but expect wider availability closer to the holidays.